I gave this stuff to Tom a while ago, when I saw him in Chincoteague. Now he’s finally posted it, and I’m posting it here! 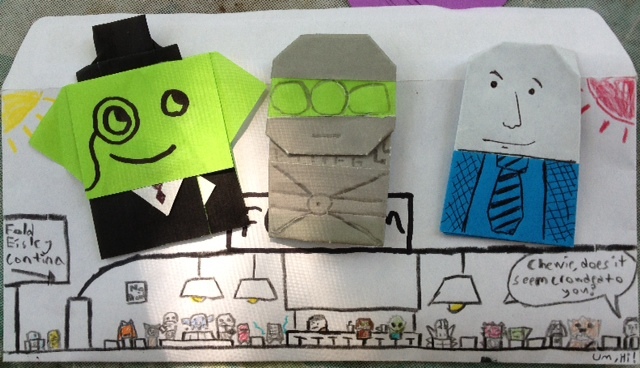 Included are a Fancy Yoda, 4-Lom, and Mr. Randall! The envelope depicts the Fold Eisley Cantina! 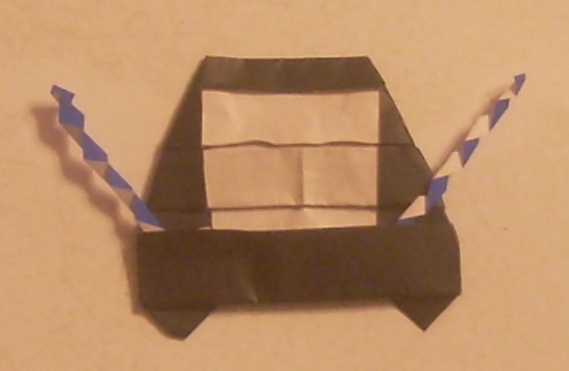 Thought you might like to see my origami Darth Shredious, complete with force lightning bolts! I’ve been busy lately, and have folded a tribe of ewoks! One is adorned with the feathers of the JubJub bird, another carries a pouch of rocks, ready to load into a slingshot! The last is the tribe elder, bearing the tooth of a bandersnatch, won in battle! Do not underestimate the power of the ewoks! The 11 yodas and more! Tom’s third origami yoda book is total rockets! So, I folded my own Fortune Wookie! 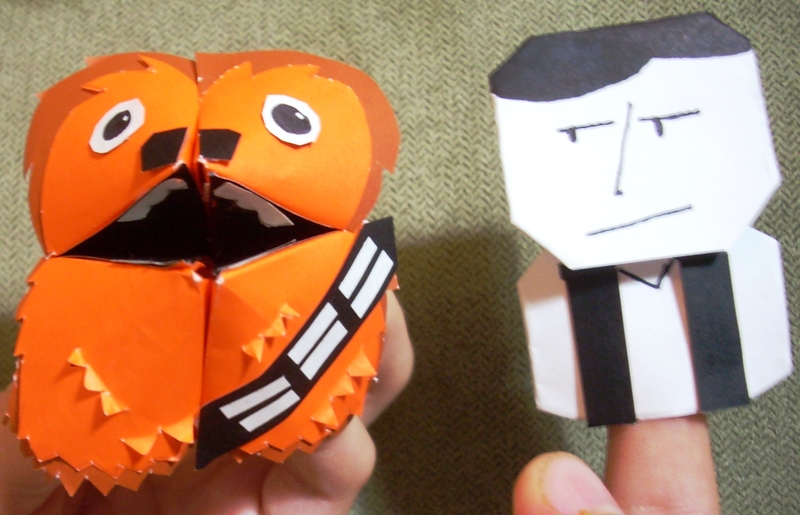 I also completed a project of mine… The eleven faces of Origami Yoda! With the third Origami Yoda book coming out tomorrow, I’m quite excited! 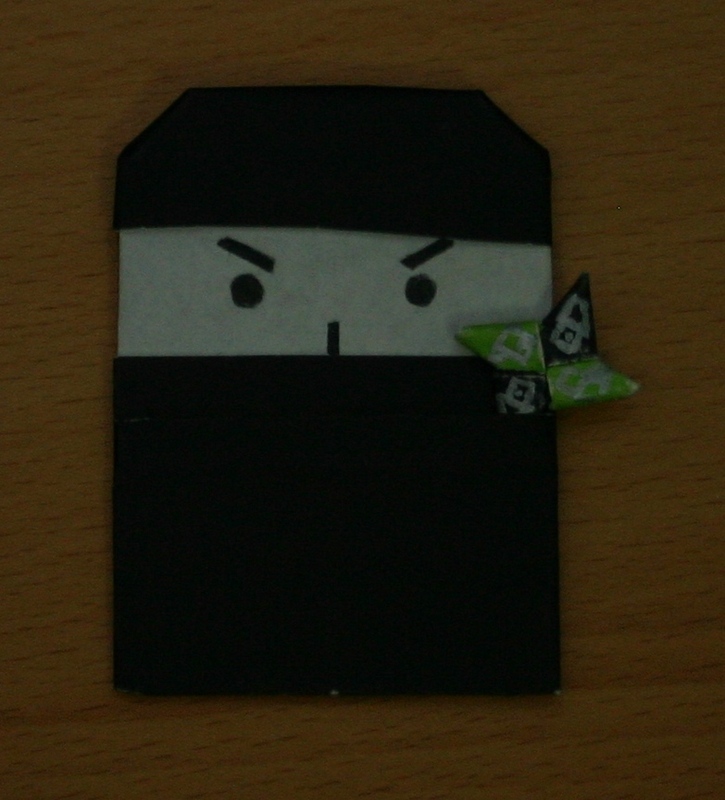 So, I’ve folded up an origami Ninja! Soapy the Monkey is a character from the Origami Yoda books. He’s a puppet belonging to a guy called Mr. Good Clean Fun, who lectures people about hygiene! He tends to swear a bit (Soapy) and is plain hilarious. 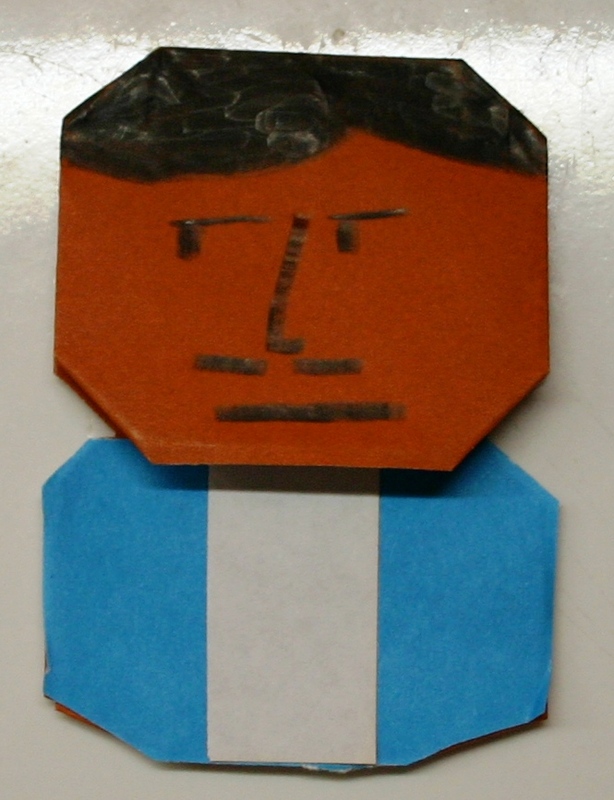 So, naturally, I folded him. 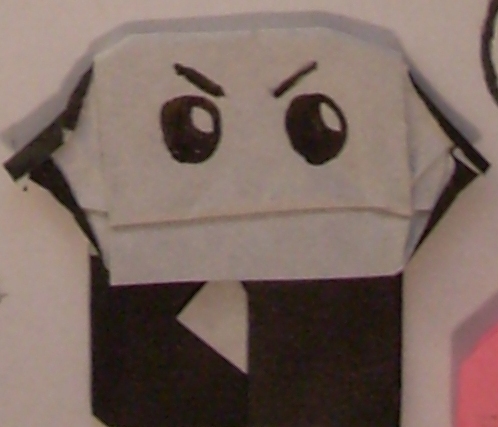 Instuctions are on my Origami Instructions page.